Iconic toy brand FAO Schwarz is opening a store in Rockefeller Plaza in time for holiday shopping this year. The brand was known for its famous flagship store on 5th avenue which closed in 2015. The new store is being developed by Threesixty Group, a product developer and distributor, which purchased the brand from Toys R Us in 2016. 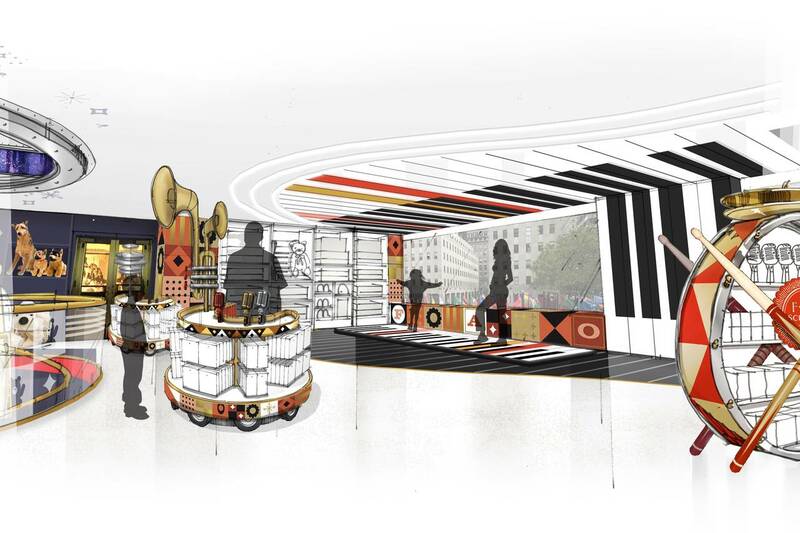 FAO Schwarz is coming back to Manhattan. The iconic toy store brand, known for its interactive displays like a giant piano, is opening up a new store in Rockefeller Plaza, according to the Wall Street Journal. The store is opening soon, and will be ready for the holiday rush. FAO Schwarz was originally known for its iconic store on Fifth Avenue, where kids and adults alike could come and experience the glee of standing on a giant piano. The new store is about five blocks south of the old one. The store is being developed by Threesixty Group, a product developer and distributor, which purchased the entire brand from Toys R Us in 2016. Threesixty did not disclose the terms of the store's lease of the 20,000 square foot of prime tourist-friendly real estate, but it was previously reported to be long-term. The store will be experiential, featuring product demonstrations with employees, magicians, and employees dressed up as characters, such as toy soldiers, the Journal says. 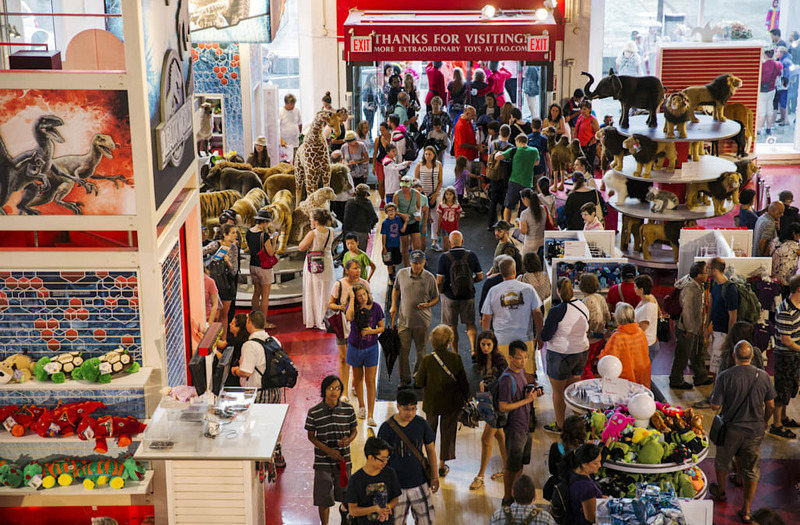 The new FAO Schwarz store has a chance to capture some of the sales and glitz of its former parent company, Toys R Us, which closed up shop for good in the US this year, completely liquidating all of its stores. Toys R Us was also known for its high profile Manhattan stores, like its enormous location in Times Square, which was a destination for holiday shopping and wish list making. The Rockefeller Plaza FAO location is planned to be just the first in a string of stores to revive the brand. WSJ reports that the brand is also looking to open a smaller location in LaGuardia Airport this year, and in China in the future. Sears is closing 46 more stores. Here are all of the locations shutting down where you live. Nike has unveiled a new way to try on sneakers at its stores without talking to anyone. Here's how it works.